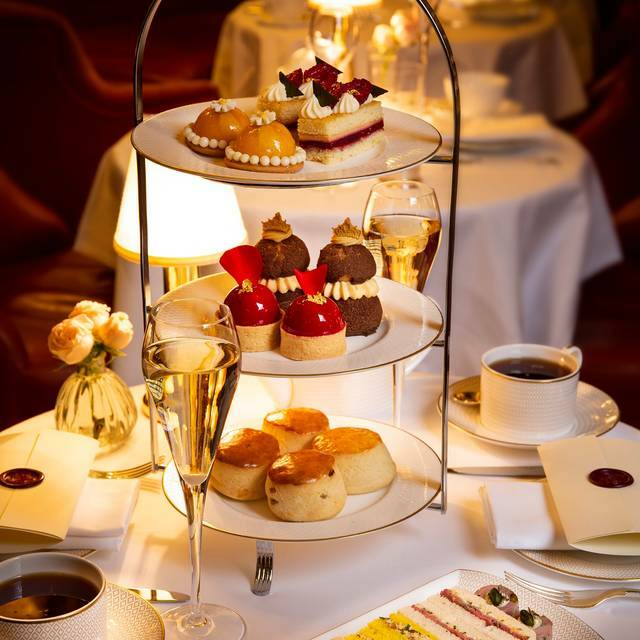 Hotel Café Royal’s award-winning afternoon tea is served in a unique setting, the Oscar Wilde Lounge. Dating back to 1865, this stunning room has been restored exquisitely to its original Louis XVI detailing. 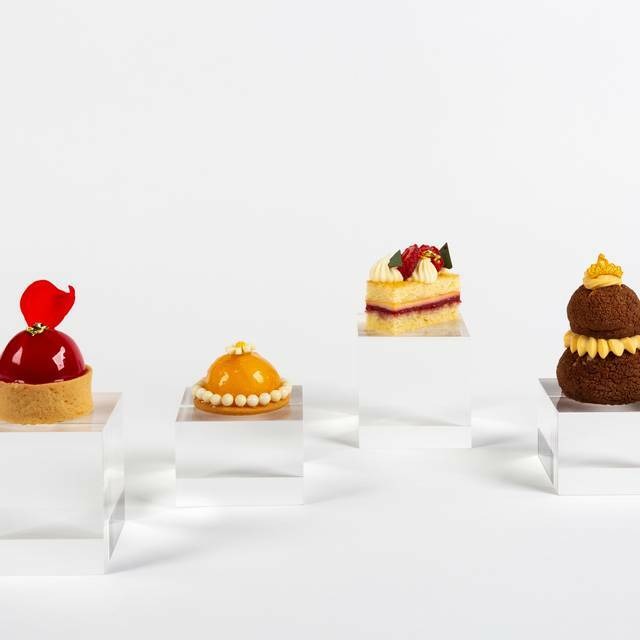 The Queen of Afternoon Teas menu is a celebration of the inception of afternoon tea and the 200th anniversary of Queen Victoria. Service is accompanied by a live pianist and your choice of over 25 exclusive tea blends and infusions. Note: The returning time for each table is 1.5 hours. For group bookings kindly contact the hotel directly. We had our afternoon tea on a Monday to celebrate our wedding anniversary. Outstanding service, nice ambiance, very pleasant live piano playing in the background, exquisite food. The sandwiches were not our type of favourite food and the experience was a bit pricy, hence the reason why we cant give it maximum points but it was totally worth trying it. Thank you for the very professional service, making our day even more special! Stuffy, dark and cramped tea room. Chairs and tables sit low so nobody over 6" can sit comfortably. Food is decent. Staff attentiveness and speed was terrific. It felt more like an expensive lunch than a treat. Very posh place where to go! Very lovely! Everything was very tasty and room was amazing beautiful!! 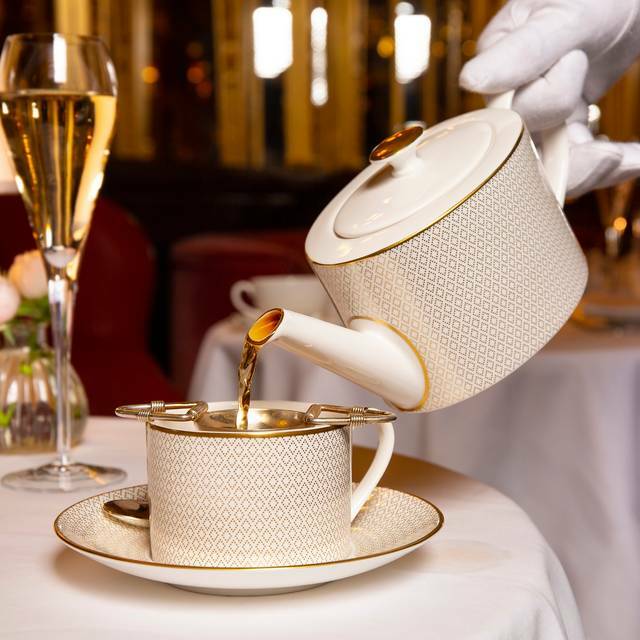 Afternoon tea at Hotel Café Royal is a special experience. I made this reservation as a birthday gift for my mom, and afterward she raved about how pleased she was with everything. It was the highlight of our day. The tea and food were delicious, and the servers were attentive and kind. The room itself is also stunning. I highly recommend this spot if you’re looking for high tea in London. Absolutely fabulous afternoon spent having tea at the Café Royal. The service from every member of staff was impeccable. Michael and Archie were fantastic and very well informed. The sandwiches were nice and the cakes exquisite. Also, the tea selection was amazing and the glass of champagne was an added bonus. A very special touch was that the staff sent out some chocolates and sang happy birthday to my mother who was not expecting it. Personally, the only downside was the service charge; I would have loved to have given a tip to the staff rather than the charge being taken by the hotel. I believe that if the service is above and beyond the norm, which is was, the tip should be delivered to the staff involved not just going to the hotel's profits. Stunning tearooms with a beautiful ambience. The service was first class and the food of a very high standard. We loved the piano playing softly in the background with a range of classical and popular music. This was a treat for my mum's 80th birthday and was extremely well received. Thank you. From the moment we were welcomed by the commissionaire until our departure, my granddaughter and I enjoyed an experience we will never forget. 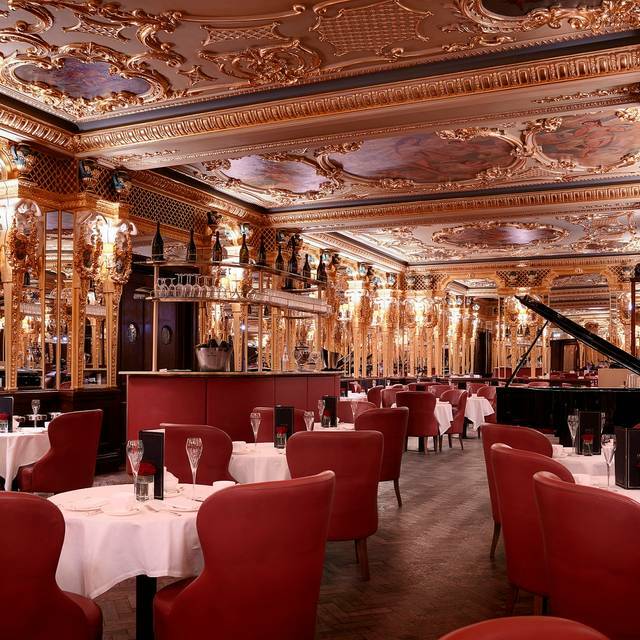 The Cafe Royal team were friendly and professional, the setting is beautiful, enhanced by the pianist, and the tea was the "icing on the cake" (excuse the pun!!!). I enjoyed trying some different teas, and the little well thought out extras. Thank you. Excellent service, friendly knowledgeable staff. Nice atmosphere not stuffy but friendly and accommodating. Het was een geweldige ervaring en absoluur zeer de moeite waard! 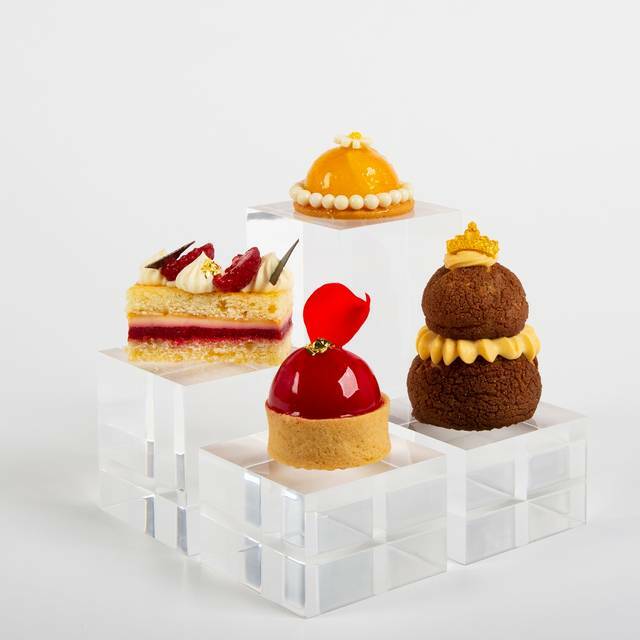 Geweldige sandwiches, scones en petit-fours, alles vers, vol van smaak en van hoge kwaliteit. Voor herhaling vatbaar. Dit alles in een prachtige ambiance, wel wat klassiek maar het hoord echt bij zo’n mooie high-tea. Vriendelijk personeel. Let wel op: er komen nog aparte kosten bij voor de bediening. Op onze rekening van £ 286,00 nog zo’n £36,00. Awesome experience would definitely recommend to all. Exceptionally welcoming to first time afternoon tea drinkers. Would go again if I were visiting longer. 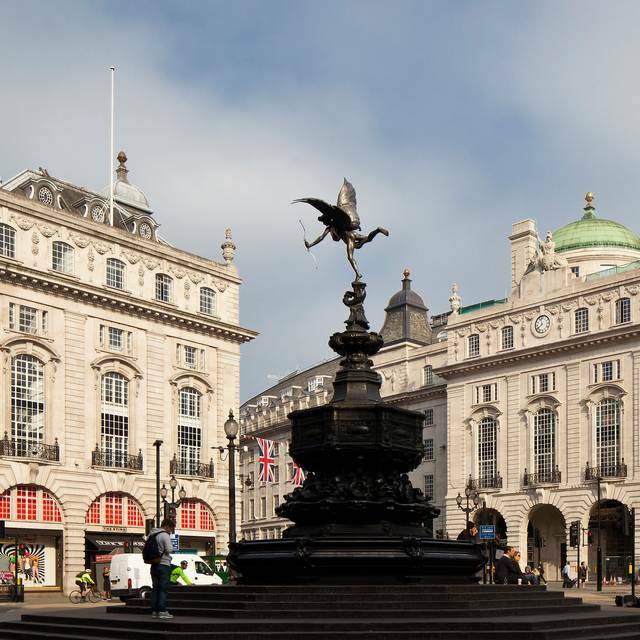 Although the overall experience was good, I personally feel that we overpaid, considering we were not seated in the ballroom (therefore did not have the full Cafe Royal Afternoon Tea experience). Furthermore, given that we are not alcohol drinkers, we were still expected to the full amount of a package including Champagne. We opted for the "Mothers day afternoon Tea" for our mum, which was £20 extra for a tiny bunch of tulips. I don't feel the price spike was justified. Amazing room, very good food selection & excellent service, exactly as you would expect. I would love to thank the Staff members of Hotel Cafe Royal for an amazing experience. Really lovely tea! The ambiance was amazing, the food and tea was fantastic, and the live piano music was a great touch. They made my husband’s birthday very special. This was the most opulent room I have ever had the pleasure to experience. A wonderful memory for myself and my children! The service is excellent and the food was really good. The ambiance was sublime. An amazing experience all together. 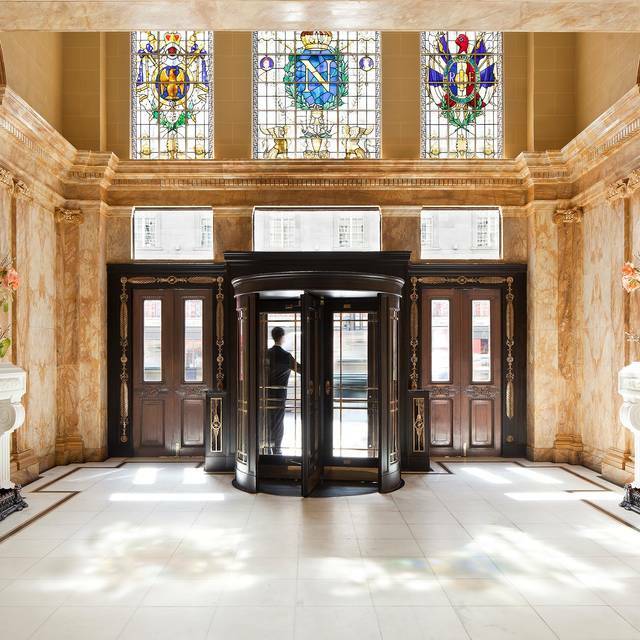 Having googled for the best English Afternoon tea in London, on arrival we weren’t disappointed...the setting is incredible and you can feel the history - English tradition at its best. Attentive and knowledgable service was followed by a delicious tea, in the most amazing surroundings - the sugar rush was something else so don’t be afraid not to finish and ask for a doggie bag! excellent experience, the tea room was amazing with its gold accent and its mirrors. the menue was perfect (especially the desserts) with a wide and luxious selection of food. you can try different teas. we had a special attention for my friend's birthday. highly recommand. The ambience is gorgeous, every food tastes very good. I strongly recommend people to experience this extraordinary afternoon tea. Thank you to the wonderful staff! Martin, the perfect waiter! We have been here several times before and the tea room is a beautiful location. The service was slower than we have experienced previously but the food was delicious. We took our clients for a birthday celebration and they really enjoyed it. It was hit and miss. Table too small for teapots, cakestands etc, packets of sugar on the table like a cafe rather than cubed sugar with tongs like other places we've visited. Seat and table very low, and chair was uncomfortable. Waitress told us about the food and relevance to Queen Victoria, but it was hard to hear her above the pianist, or understand what she was saying. Service was slow despite being fairly quiet. On the plus side the food, tea and glass of champagne was delicious. This was our second visit here, but we'll try somewhere else next time. Beautiful. aervice in an exquisite setting. Very attentive staff, always courteous and thoughtful! Lovely ambiance, amazing experience. Definetely a must-do when in London. We've been to afternoon tea many times while visiting London, but this was our first visit to Hotel Cafe' Royal. It was a wonderful way to spend a special occasion. That being said, everything about our visit would make any afternoon a special occasion. The attention to detail, the knowledgeable staff, the delicacies and the selections were outstanding. All in the most glorious venue: The Oscar Wilde Room. A special thank you to the superb service provided by Estella and Madelena. 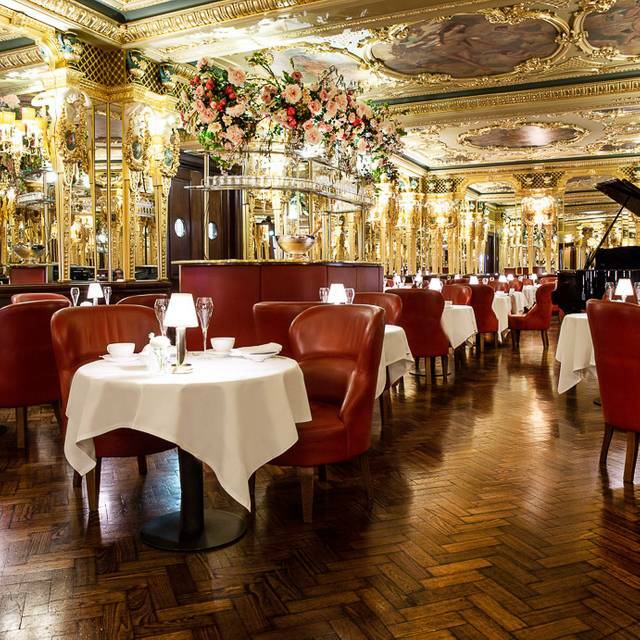 Beautiful surroundings in the Hotel Café Royal. The high-tea room is exceptional. Live piano music, the food is lovely and the service is great. One downside; you need to be in & out in 2 hours (also when it isn't fully booked). Doggy bag for the leftovers. It felt a little strange to be asked to leave in about 15 minutes. Either inform your customers upfront or leave them to finish their high-tea at their own pace. A wonderful experience, in the fabulous gilded Oscar Wilde room, we sat at David Bowie's favourite table and had a ball with delicious sandwiches and cakes, many inspired by Queen Victoria's tastes, champagne and live discreet piano music. They also offered extra portions and were even able to cater for my vegan son. What really made the difference, though, was the service: the two gentlemen who served us not only were knowledgeable about the historical setting and attentive but always had a smile on their face. A real asset to the restaurant. It was absolutely fabulous and special, such diverse food and scrumptious cakes in a beautiful setting. The waiters were absolutely polite, helpful and experienced. The downside is 2 hour limit which is not really helpful for deaf people as we cannot communicate with food in our mouth. We were given only 15 min extra time which isn't enough really. Inspite of confirming we would have gluten free food, the first serving wasn't and it was by luck that I double checked. Although no big fuss was made, we also had the wrong menu on the table. It was a lovely gesture of them to bring a plate with two chocolates for my friend's birthday treat. The ladies WC could have been decorated better to match the grandeur of the room. It was appreciated to be able to take away cakes in a stylish and sturdy doggie bag. The tea room is beautiful! The food (sandwiches/desserts) were delicious!! Estelle and Arthur provided exceptional service! Definitely worth going! My nieces thoroughly enjoyed themselves. Fabulous tea in the Oscar Wilde Lounge! I couldn't have asked for a more fun experience for an afternoon. The waitstaff attended to our every need, and the tea was outstanding. Champagne and sandwiches were super fun, and the pastries were to die for. Would recommend this to anyone looking for a spacial way to spend their day. Our visit was amazing . Everything was perfect . Nothing was too much trouble . Food was delicious and the young ladies who served us were so lovely and very polite . We can’t wait to return . Thank you . Thoroughly enjoyed it. A wonderful experience. We were a party of 6 and we had a very plain eater amongst us. They were very accommodating of our request for different sandwiches. 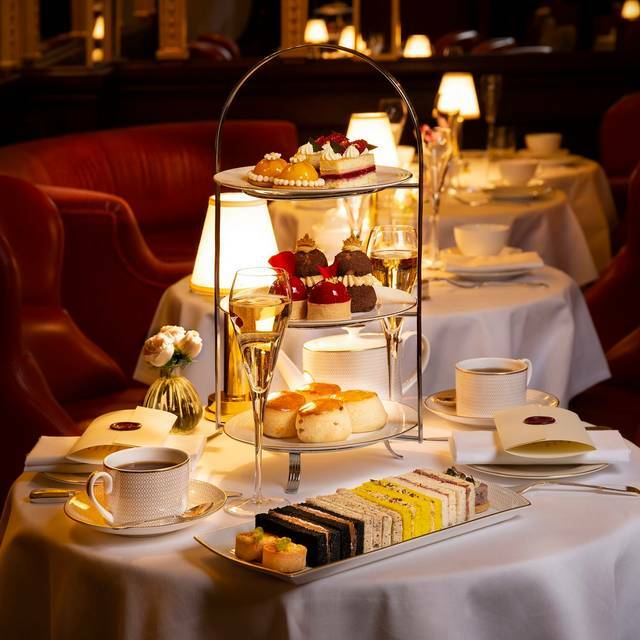 We will definitely return and will be recommending this luxurious afternoon tea to everyone. Went for Afternoon Tea. While the room was really nice and the service tried, a very disappointing experience. The new afternoon tea menu was very plain. The tea sandwiches were tasteless and the tea was like stale dishwater. The scones were ok but very heavy. The desserts were the best thing about the service and actually were really, really good.